UK degree or equivalent related to your specialist area. Significant work experience in the area you wish to teach. Disclosure and Barring Service (DBS, formerly Criminal Records Bureau) clearance checks; date and associated reference number. If you have precious knowledge and experience and all you need are the skills and qualifications required to make your contribution in teaching, this course could be for you. No previous experience of teaching is necessary. Successful students have gone on to teach in further education colleges, adult education and a wide range of other training and educational settings. This course provides a route to Qualified Teacher Learning and Skills (QTLS), the full professional status for teachers in Lifelong Learning. The course can also lead to employment in secondary schools. The awards are Higher Education Academy accredited. If you have appropriate experience you may be able to gain the associated standards whilst completing the course. The Certificate in Education (lifelong learning), Professional Graduate Certificate in Education (Lifelong Learning), Postgraduate Certificate in Education (lifelong learning) and Post Graduate Diploma in Education (lifelong learning) are structured around modules which are based on different aspects of teachers’ work such as designing learning materials, assessing students, and evaluating learning and teaching. Academic credit is gained by undertaking assignments and providing evidence of achievement. This allows you to explore topics that are of interest to you, relevant to your working environment, and to your career development. As part of the course, you will complete a subject specialist module. This requires attendance at the University of Huddersfield campus. You will be informed of the exact dates during the course. This module develops an understanding of how people learn in post-compulsory education and training and of the role of assessment. You will be assessed on an assignment in two parts (coursework together worth 100% of the module). For the first part, you will plan, prepare, deliver and reflect on a learning session contextualised within your own role in Education & Training. You will also write a critical account investigating the learning needs of specified learners and discussing how you have planned, enabled and assessed their learning. This module is designed to help you learn how to identify and respond to learners’ needs with suitable teaching, learning and assessment strategies. You will engage in personal and professional development planning and, through two pieces of coursework, together worth 100% of the module marks, develop your practice. The first task, a teaching practitioner file, will include a personal development plan, observations of your teaching and a structured, reflective journal; and the second task, a reflective personal skills presentation, may take the form of your choice. This module builds on previous generic and subject specialist development in two ways. Firstly, it contributes to the development of more advanced strategies and methods for promoting learning and, secondly, it involves a sharper focus on specific specialist areas and the critical analysis of their pedagogy. The module achieves these purposes by enhancing the ability to reflect critically on, and to evaluate, teaching and learning; by recognising particular curriculum and professional challenges; and by developing critical responses to these concerns in sophisticated, innovative and creative ways. Key learning activities of the module are practical teaching experience and the engagement with other specialists through collaborative practice. This module will develop your understanding of the concept of policy, professionalism and the influences that shape it. Through two pieces of coursework, together worth 100% of the module marks, you will discuss theories and relate them to your own context and professional role. This module encourages critical thinking and informed discussion in relation to the education sector. ​Much of the course is focused on the experience of practical teaching. You gain experience of learning and teaching alongside other professionals with support from tutors at UCO, as a vehicle for your professional development. We help you to find a suitable placement. Practical experience allows you to gain competence in planning, teaching and learning, and in working with students both in formal classrooms and in student-centred learning situations, such as drop in study centres. During the course you undertake project work, such as developing new course materials. Students also benefit from on-site careers advisors, alongside full access to the award winning careers services at the University of Huddersfield. 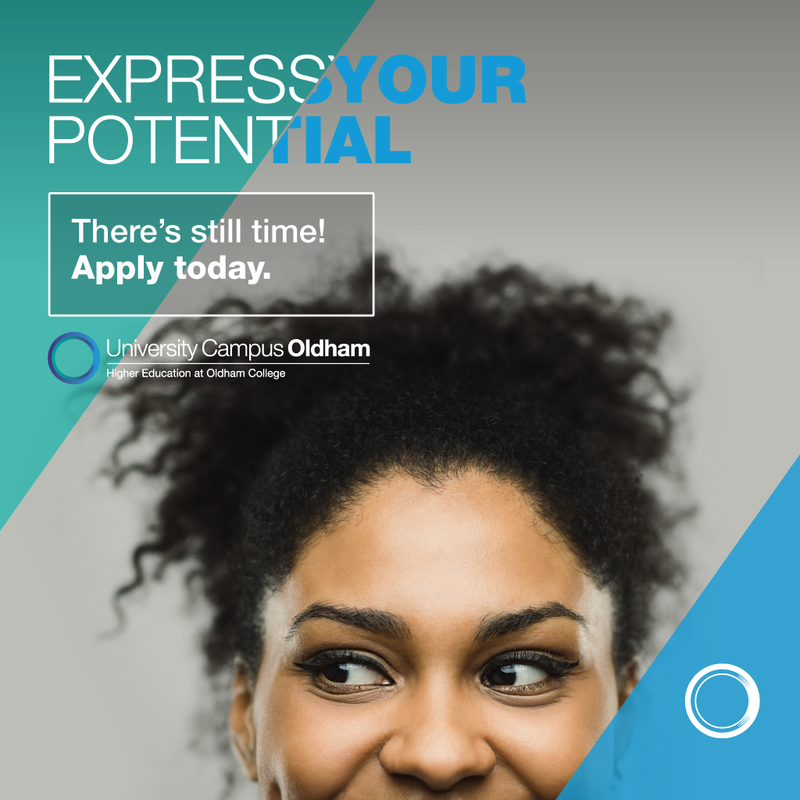 So from compiling the perfect CV to specialist, tailored help to reach your career goals, students at UCO have access to the best support possible to achieve their career goals. Students have gone on to work as further and higher education lecturers. Others have taken the opportunity to engage in further studies such as relevant MA or MSc courses at university. ​The focus of this course is on practical teaching. You gain experience of learning and teaching alongside other professionals with support from tutors and work based mentors. You will gain competence in planning, teaching and learning; and in working with students; with assessment of your progress taking place in formal classrooms and in student centred learning situations. The Consortium is an extensive and equal partnership of PCET providers delivering professional higher education qualifications of recognised excellence. We together provide thousands of staff in the post compulsory sector with professional development and qualifications from the University of Huddersfield – a centre for excellence in teacher training. See the Consortium website for information.